The team at Australian Munitions would like to say thank you to all the customers and supporters who visited the stand at the 2018 SSAA Shot Expo in Sydney last month. This year’s expo welcomed over 16,000 visitors across the two days, which was an 11% increase on the 2016 event. There has been some great feedback from both exhibitors and visitors to support the continued interest and growth of Australia’s largest event for the shooting sports. 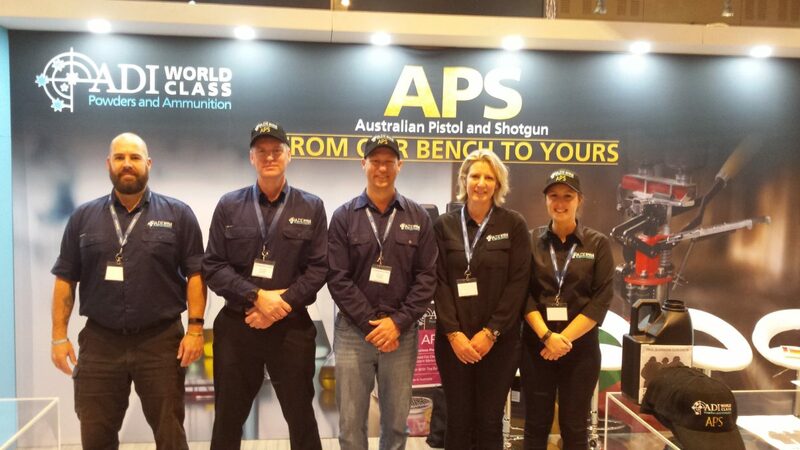 ADI World Class Powders and Ammunition staff were at the stand to answer questions from the sporting shooting community and to promote the launch of the new Australian Pistol and Shotgun products, APS350 and APS450. These propellants are the first of the newly formulated, most technologically advanced propellants to date. Thank you once again to everyone who came to visit and give their support. The questions and feedback you provided was highly appreciated. It is an exciting time to be a part of Australian Munitions and the Australian hunting, shooting and reloading community. We look forward to seeing you at the next expo!